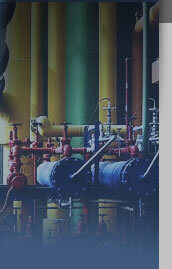 Interstate Industrial Instrumentation, Inc. has offices in Omaha, NE, Des Moines, IA, and Bettendorf, IA. Our sales activity is concentrated in Nebraska, Iowa, and border counties of Illinois and South Dakota. We perform calibration services throughout the Midwest. Interstate Industrial Instrumentation, Inc. provides sales representation and distribution services to manufacturers, and a wholesale source of supply to customers. A warehousing operation is performed, consisting of maintaining inventory and shipping to customers from stock; other products are either back ordered from suppliers, or are assembled to customer specifications. The company also provides repair and calibration services for industrial automation, process measurement and control equipment. Interstate Industrial Instrumentation, Inc. specializes its operations to certain well defined segments of the instrumentation and controls market such as measurement instrumentation, control and relief valves, and automation controls. It selects its suppliers and lines carefully to fulfill its product range criteria and to satisfy customer needs and expectations. by delivering quality products and services to our customers. 2013 (GCT) Copyright Interstate Industrial Instrumentation, Inc. Send mail to webmaster@iiiinc.com with questions or comments about this web site.